JOHNSON CITY – An investigation by Special Agents with the Tennessee Bureau of Investigation has resulted in the indictment of a former Sullivan County corrections officer on charges of assault and providing false information. On March 12th, at the request of 2nd District Attorney General Barry Staubus, TBI Special Agents began investigating Jeri Dawn Patrick (DOB 11/9/70). During the course of the investigation, Agents developed information that, on March 8th, while working as a corrections officer at the Sullivan County Jail, Patrick physically assaulted a female inmate. Further investigation revealed that Patrick falsely documented details of the incident. Last week, the Sullivan County Grand Jury returned an indictment charging Patrick with one count of Assault and one count of False Reporting. 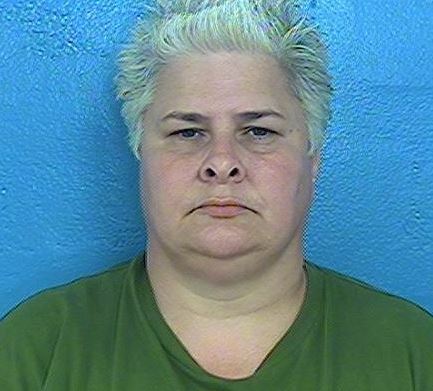 Today, Patrick turned herself in and was booked into the Sullivan County Jail on a $10,000 bond.